Medicott: the revolutionary mattress cover celebrates its first 20 years! 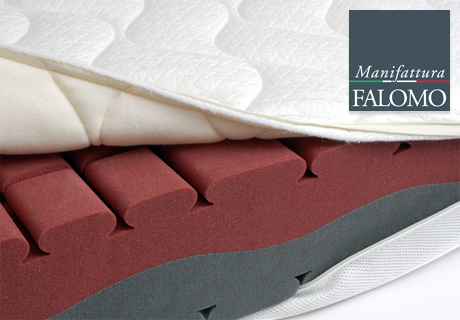 Medicott is the revolutionary mattress cover created in Manifattura Falomo’s laboratories that has changed the mattress world forever. Discover the extraordinary qualities of this innovative lining and all mattresses supplied with it. 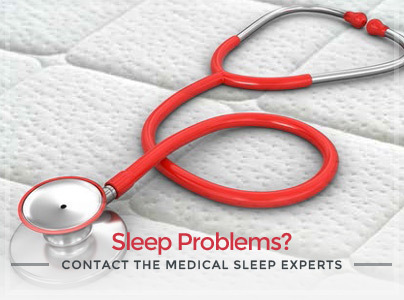 If it’s time to renew your bed system, Medicott cover could be the perfect solution for a perfect... rest! 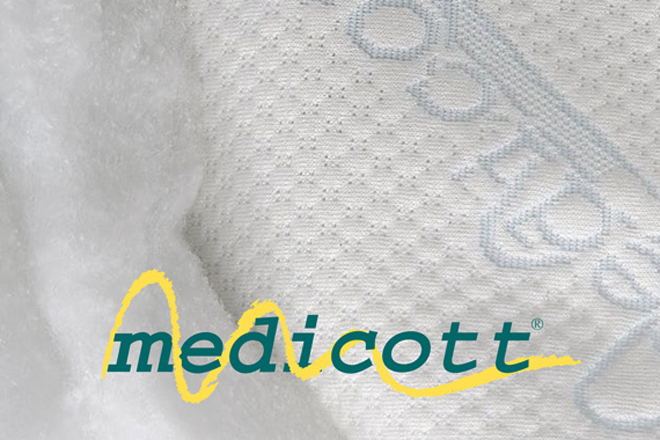 Discover all the mattresses that use a Medicott lining! 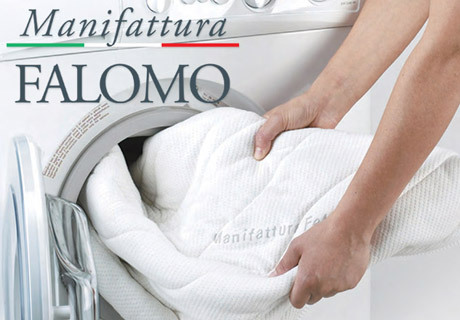 In 1998 Manifattura Falomo presented Medicott, the first mattress cover that can be washed at high temperatures, up to 95°C: a true revolution in the world of healthy sleep! Here are all the mattresses that use Medicott lining! 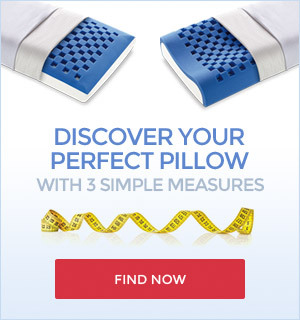 Kuschelmed, the revolutionary mattress with three-dimensional shaping! Kuschelmed mattress, the first mattress with a three-dimensional shaping was developed in collaboration with the Institute of Ergonomics in Munich. It’s one of the most successful products for Manifattura Falomo with over 50,000 pieces sold since its first release! Kuschelmed mattress, as well as Kuschelmed De Luxe, are particularly suitable for those who suffer from low back pain as they ensure greater distension of the spine and less compression of the neck and cervical. Relaxody, the first Memory Fresh Blue mattress, cool and welcoming! The Relaxody mattress is equipped with a stiff, high-density Aquatech body, while the contact surface, made of Memory Fresh Blue material, is ideal for a cool and regenerating rest. 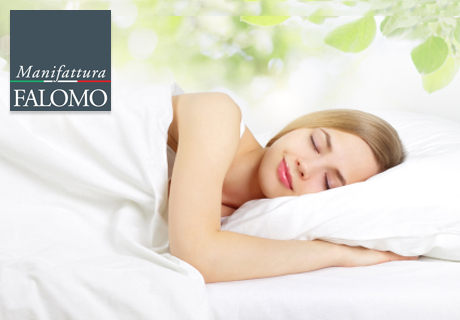 In the Plus version, the Relaxody mattress is provided with an additional material called Eucafeel which has extraordinary thermoregulating and breathable characteristics that help disperse excess heat. 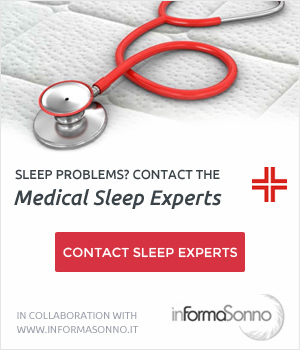 Choose either the Soy Memory mattress, provided with a solid core entirely made of Soy Memory Touch, ideal for supporting without compressing, or the Soy Ergo mattress with its special independent pocketed microsprings for a complete relaxation of muscles and nerves. Made by using only innergetic latex, the Innergetic De Luxe mattress, with its 7 differentiated load bearing zones, perfectly adapts to all your night-time movements. The Innergetic Hypoallergenic version is the ideal choice for those who suffer from dust mite allergies, especially thanks to its incredible Medicott lining that, as well as in all other mattress models that use it, allows you to eliminate mites and bacteria as it can be washed up to 95°C! 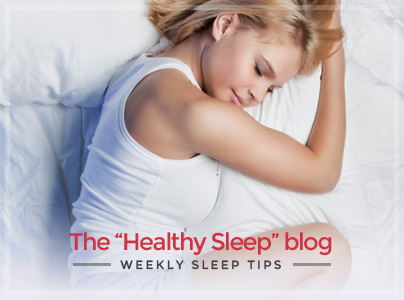 Medicott: Breath Well & Sleep Better! Mattresses Covers: Make the Right Choice!